Well I can’t speak for you, but the rich are definitely different from me. The rich get to build wonderful resorts. And the rich get to stay in them. 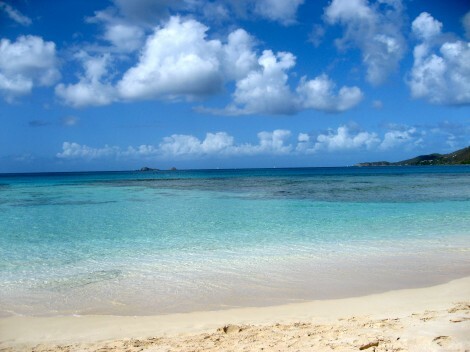 Case in point: Little Dix Bay in Virgin Gorda, British Virgin Islands. In the 1950s and 60s billionaire Laurance S. Rockefeller built two remarkable environmentally focused resorts in the Caribbean. He picked gorgeous, natural spots for the resorts and purchased land around the areas to insure the resorts’ pristine natural qualities would remain. 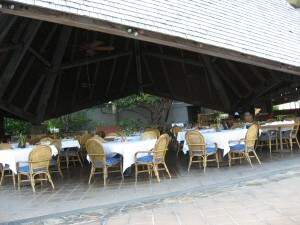 Although rich with comforts and luxuries, the resorts were simple and beautifully designed to blend with the environment. Nothing was allowed to interfere with nature, not even televisions, radios and telephones which were banned from guest rooms. 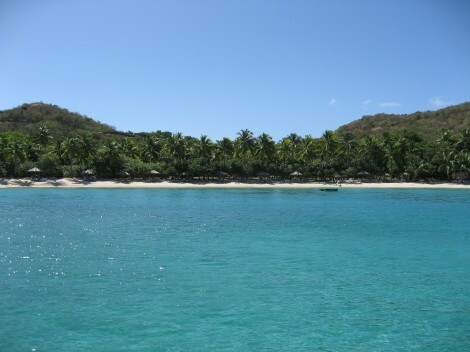 Both Little Dix Bay (and her sister property Caneel Bay) became world famous, not only as favorite getaways of the wealthy and celebrated, but also as forerunners of what would eventually become the ecotourism movement. Let’s fast forward and telescope in on Little Dix Bay. 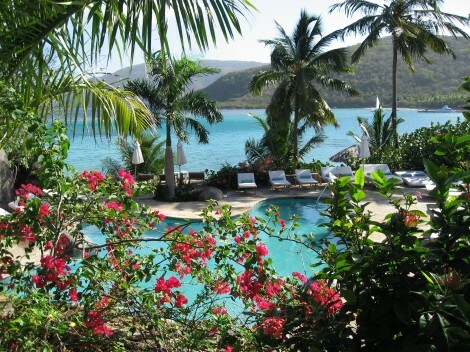 Rosewood Hotels & Resorts took over Little Dix Bay resort in 1993 and pumped many millions of dollars into renovations, yet despite major updates and additions (and a name change), Rosewood Little Dix Bay resort remains true to Rockefeller’s original vision of a posh getaway, simple and sophisticated at the core with deep respect for the glories of nature. Today’s resort still covers 500 acres, still stretches around a bay with a half-mile long postcard-perfect, white-sand beach hugging an every-shade-of-blue sea and still attracts the wealthy. Guest rooms and suites sit here, there and everywhere on the property, some tucked into one and two story buildings and some almost directly on the beach, hidden behind thick native sea grape and lush tropical foliage. Although the 105 rooms and suites vary in size and configuration, all share similar decor elements designed to offer soothing respite from sun and sea. All rooms sport light and airy interiors, with light wood and teak furniture, stone walls, and natural colour schemes (enhanced with dabbles of island colors). And all rooms come with outdoor patio or terrace—-some with better views than others. Walking paths lined with flowers and shaded by island palms lead guests to the resort’s three dining venues, tennis complex and fitness center, reception area, activities room (sporting a large-screen TV), swimming pool and kids’ playhouse. 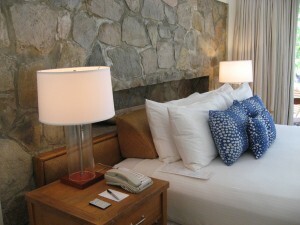 In keeping with the resort’s original concept, there are no locks on the doors or televisions in most rooms and cell phone use is discouraged in public settings. New to Rockefeller’s vision is the spa. And what a spa it is! 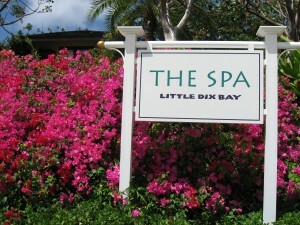 Although the treatments are divine, it’s location location location that make Little Dix’s Sense spa the loveliest in the Caribbean. Perched at the top a bluff surrounded by bougainvillea and other tropical beauties, the spa’s outdoor waiting room rest around an infinity pool that overlooks the sea. Everything about the spa reflects natural beauty—-even the Island Tofu Salad that room service brings for between-treatment indulging. If you’re as rich as Rockefeller, you’re in a grand position to enjoy all Little Dix has to offer. If you are more like me, you might be happy just to have their salad recipe. Put shredded lettuce in an individual salad bowl. Arrange tomatoes around edge of lettuce. 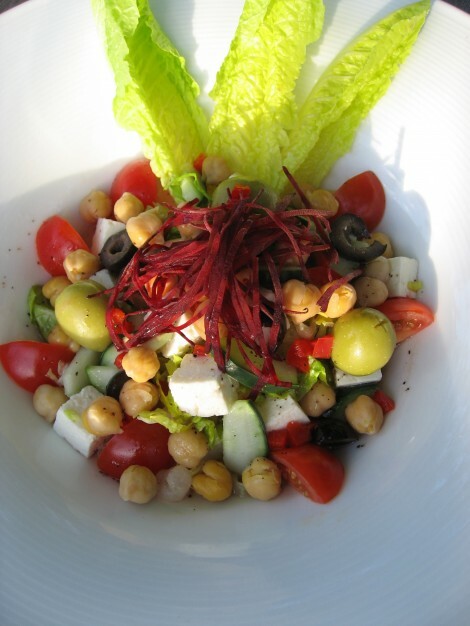 Evenly distribute tofu, chick peas, cucumber, black olives and bell pepper over top of lettuce. Put shredded beets in the center of the salad. Drizzle roasted-garlic vinaigrette over top of ingredients. Garnish with green olives and romaine leaves. Serve immediately. Rub excess papery skin from garlic bulb. With a sharp knife, slice off about 1/4 inch from the top of the garlic bulb, exposing ends of cloves. Place bulb, on a square of foil. Drizzle cut surface of bulb with about 1 teaspoon olive oil. Wrap bulb loosely in foil and place in a preheated 400°F oven. Roast until garlic flesh is soft, 40 to 60 minutes. Set garlic aside until cool enough to handle. Squeeze soft garlic pulp from each clove into the bowl of a blender. Add vinegar, lemon juice, mustard, honey and a little salt and pepper. Blend until smooth. While blender is running, very slowly add 1/2 cup olive oil. When thoroughly blended, taste and correct seasonings. Refrigerate in a covered container until ready to use.